Two short videos to show you why, at least in a cat, you want to sail downwind. 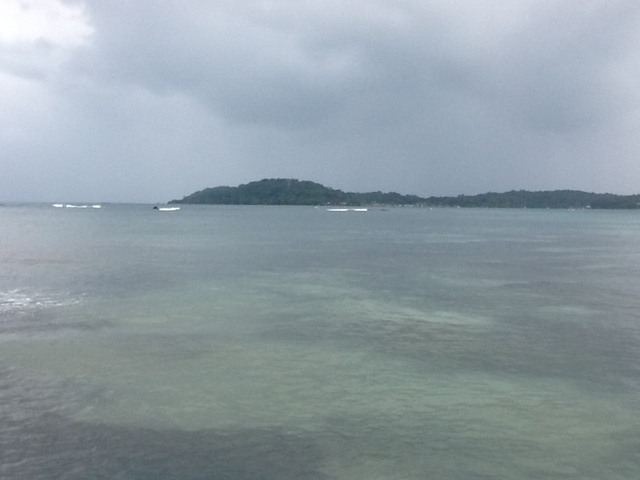 First, observe a bit of the passage from Bocas del Toro to Providencia, Colombia. Close hauled, seas were 1-2 meters, but pretty steep and confused. and Mexico). So we are leaving later today for the Bay Islands. costumes and waltzes and mazurkas to a Caribbean beat). all is well back home! week, so we expect to be here several days. 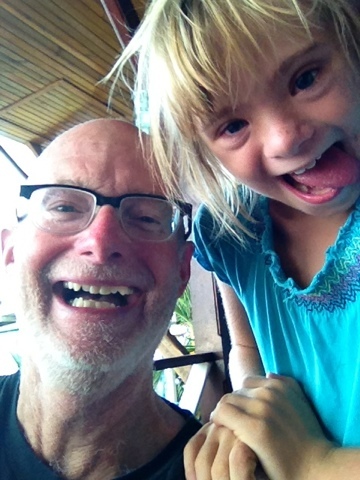 Our good friend, Jim, and Hannah. We now have a bottle of medical oxygen, sumatriptan (which came via a number of friends Seattle-New York City-Panama City-Bocas Town), and a reasonable weather window. Below is our route north, including a little easting to start with to try to be able to sail once we hit the trades north of 10 degrees north. 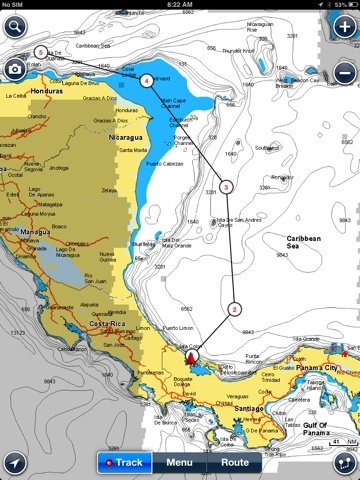 We will leave early tomorrow, head east, then to Providencia, then jumps to the Vivorillos Cays, then Guanaja Honduras. If all goes well, we will do it in one passage or about 650 nautical miles. Maybe 5 or so days at sea. A couple of pics from Bocas. 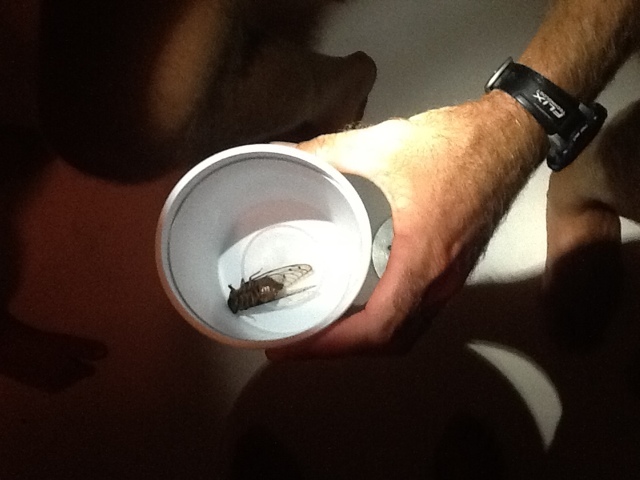 First, the nearly three inch cicada that landed in the cockpit during dinner (yes, that's a quart sized yogurt container). 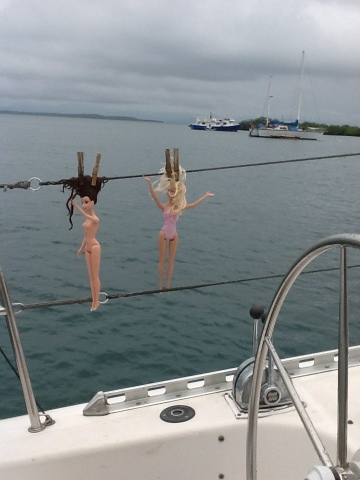 Second, Barbies drying on the lifelines after a swim with Hannah. Oh my.